I was in Davis Square last night, and I can confirm students are back. I felt as they I was upon the banks of a swollen Ganges River except with more beer and Axe body spray. Weird, but I noticed 2 Fens area items today... Maybe go for a walk before or after? Gloucester is up there, but I do have a soft spot for the town. Watching the schooners racing from the Eastern Point with some family is a wonderful memory I hope to keep for a long time. If the weather holds out, you might have a similar memory by the end of the weekend. How many campfires did you sit around this year? Most of us are counting on one hand, if not one finger or a faint wiggle. No need to bring marshmallows or graham crackers, it's a campfire minus the fire yet exceptionally more acoustic instruments than usual. There is folky/bluesy goodness all day long. This is a pretty good lineup, if I had to pick between today and tomorrow, I lean towards tomorrow due to Lori McKenna and the Sub Rosa gang at the end. There is a whole lotta punk and rock in one day, but you can do it -- even if you go outside for an occasional break. A Waltham production company seems to have been involved in organizing this and will film all the bands; there will be some footage screened from a previous Midway show. This existential play by Samuel Beckett is a sparse, minimalist tale where nothing much happens, so it would work fine in a relatively small basement theater. Bach, "Sonata for Flute and Harsichord in B Minor, BWV 1034"
Otar Taktakishvili, "Sonata for Flute and Piano"
Jindrich Feld, "Four Pieces for Flute Alone"
For 35 years, flautist/NEC faculty/longtime BSO member Fenwick Smith has given a semester-opening concert. Smith said that the Bach sonata is the "greatest work penned for the [flute]", which bodes well for the classical music experience on a Sunday afternoon. He'll be joined by fellow faculty members on piano and harpsichord. English antiques, paintings, and manuscripts may not qualify as 'thrilling', but this looks like a interesting exhibit since two-thirds of the material have never been seen in America. (The rest are pieces from Yale's collection.) Some date back 800 years like a copy of the Magna Carta. I think the hurricane/tropical storm ruined their plans last Sunday. All I can say is that this may be the least irritating dueling piano bar I've patronized. 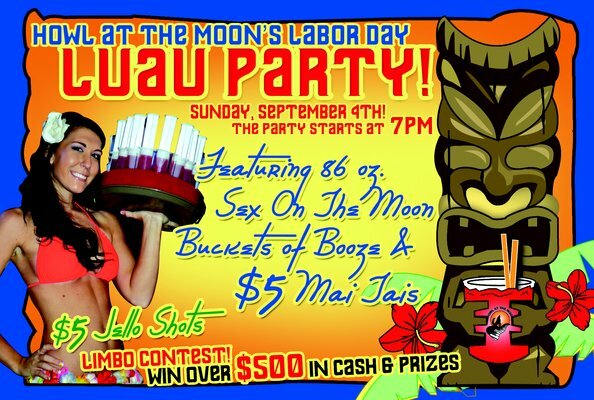 There are drink specials tonight, and cash/prizes can be won during the limbo contest. For about 3 years, Christian McNeill and Jesse Dee used to regularly lead a big rootsy/soulful party with horns, various guests and adoring fans. It should be like old times tonight, and there's no problem if it's a new time for you. If you missed Stephie Coplan & The Pedestrians at Toad the other night, there is one more chance to catch their witty, piano-driven pop. it's going to be an awesome night of crazy rock anchored by Nashville guitar-drums duo Jeff the Brotherhood doing their catchy, noisy best preceded by punk and anarchic, sludgy rock. You better have tomorrow off.